Clarets midfielder Aiden O'Neill has joined Oldham Athletic on loan. The 18-year-old Australian has made five appearances this season, coming on as a substitute against Liverpool and Chelsea, and starting the EFL Cup exit at Accrington Stanley. 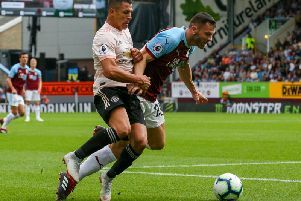 But after the arrival of Ashley Westwood from Aston Villa, he fell further down the pecking order and will go out to Boundary Park for the rest of the season to further his experience.